Classic CA 1:5L with two-year warranty. *Note: Trade-in must be received prior delivery of the order. Bien-Air contra-angles: marvels of precision‚ offering reliability and quiet operation. 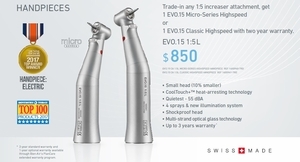 The culmination of a long tradition of excellence‚ Bien-Air contra-angles boast a Soft Push push-button for easy bur release‚ DuaLook dual glass rod lighting and three Accu-Spray separate air/water sprays guaranteeing perfect nebulization. Their ideal ergonomic characteristics ensure an excellent grip while guaranteeing perfect handling. 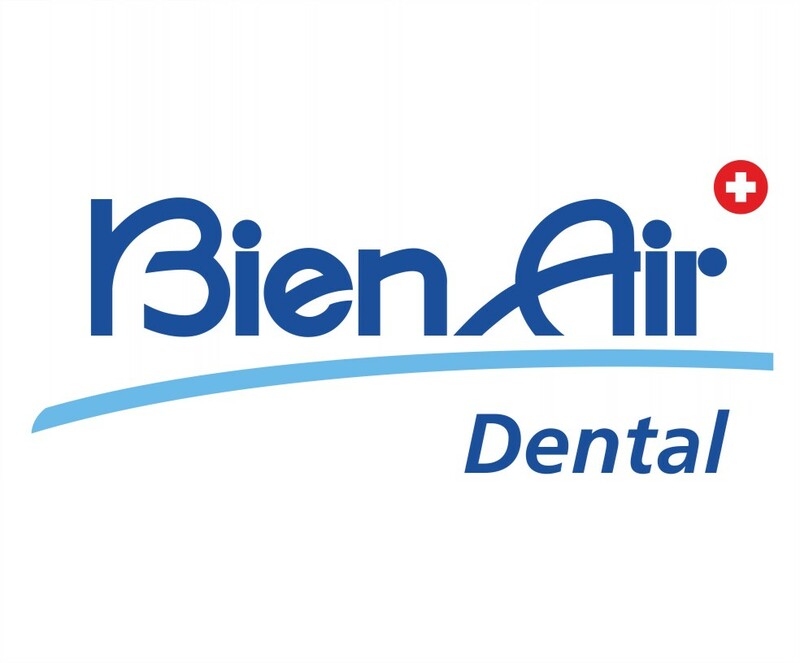 The latest developments in Bien-Air contra-angles incorporate a new shaft and gear system mounted on pre-stressed ball bearings. This offers vibration-free transmission and reduces energy loss. These new Bien-Air shaft and gear systems simultaneously provide outstanding smoothness and improved sensitivity. For your comfort and that of your patient. 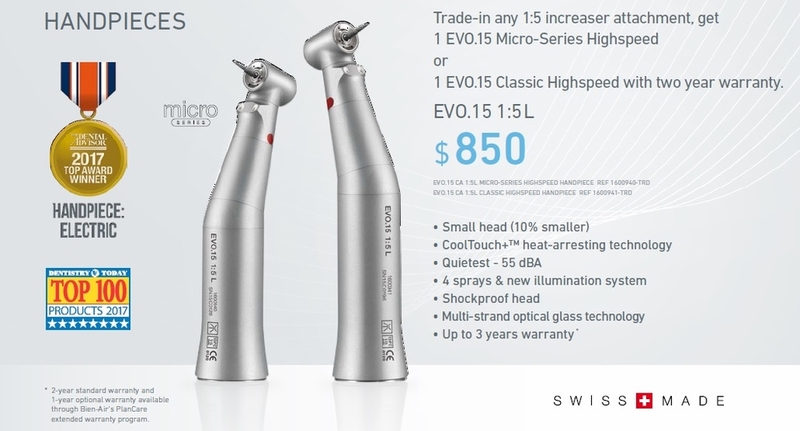 Trade-in your old KaVo‚ NSK‚ W&H‚ Star‚ Midwest and Sirona handpieces that are costly to repair. The most precise chuck locking and rotation drive technology in the world. Discover perfectly balanced instruments‚ with none of the drawbacks of imbalance or vibration. Push-button with and anti-heating safety system. 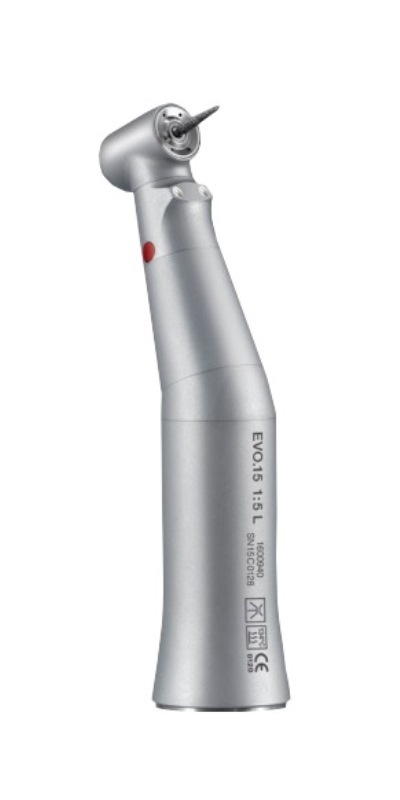 This reduces the risk of burning your patients with the head of your instrument. 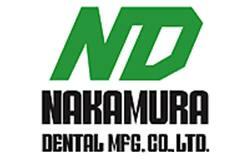 For your comfort and your patients´ safety. In addition to being robust enough to withstand all conditions‚ the dual-strand optical glass conductor gives and enveloping‚ non-dazzling light‚ clearly showing depth. DUALOOK: the best lighting on the market. Bien-Air´s unique push-button insert and chuck locking mechanism. Light pressure is all that is needed. Bur changing is quick and comfortable. This mechanism guarantees firm yet precise locking.